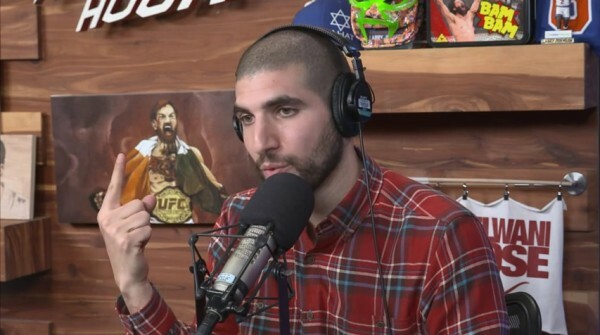 On Monday’s episode of The MMA Hour, Ariel Helwani revealed some details about his departure from Fox Sports, though he didn’t exactly confirm or deny some of the more popular rumors surrounding his exit. Helwani confirmed that he was fired by Fox as opposed to resigning, while also praising UFC president Dana White for initially giving him access and possibly opening the door for him at Fox when the UFC’s broadcast contract with the network began. In addition, Helwani claims he missed just one episode of UFC Tonight over the show’s tenure, following the birth of his first son. One of the more popular rumors surrounding Helwani’s departure is the straw that broke the camel’s back was this interview with UFC fighter Rory McDonald discussing his free agency. Helwani also says that he’s hurt by Fox kicking him to the curb, especially by way of a two or three minute phone call. In addition, he claims that some people at Fox he worked with every day never even reached out to him after his departure. That’s rough. He’ll obviously still be continuing at MMAFighting and The MMA Hour, and him leaving Fox might actually be the best thing for his career as a journalist. If a sensitive topic about the UFC or a UFC fighter (for example, drug testing, free agency, or compensation) becomes a big topic in the news, Helwani won’t need to worry about what the UFC or Fox wants to hear. On the other side of the coin, this isn’t a good look for Fox’s UFC coverage. Earlier this year, Kenny Florian plagiarized in an article he wrote for FoxSports.com and was briefly suspended by the network. Meanwhile, Helwani is kicked to the curb for (presumably) covering topics the UFC doesn’t want him to cover and rubbing people the wrong way? That’s not right, and if conversations critical of the UFC start disappearing from UFC Tonight, I think more people will start realizing what really happened here.